Goals can be updated on a timed cadence or at your convenience. To update a goal on a timed cadence, it will appear under the task to complete section. If you prefer to update at your convenience, go to the Profile page and click on the Goal you want to update. 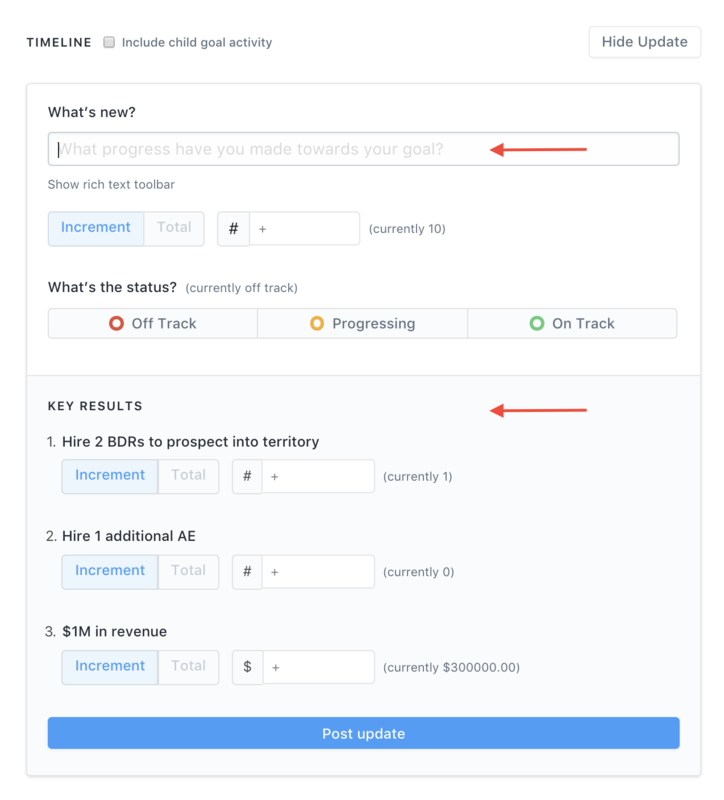 Step 1: Add progresses made toward your goal and update the status to give visibility on where you are in relation to accomplishing your goal. Step 2: Update your key results. 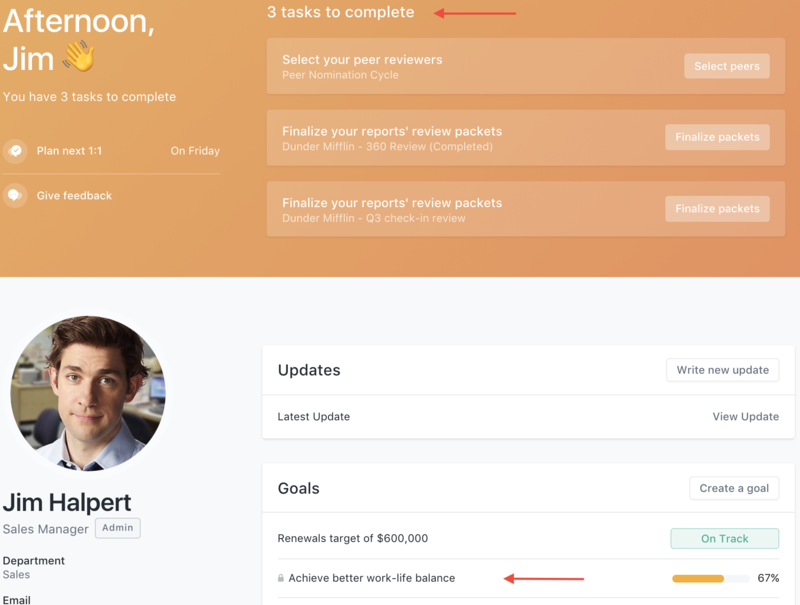 After updating your key results, Lattice will show you a goal completion percentage based on your key results activity. Additional notes: See all of your goals at once by clicking All Goals from the Profile Page under the Goal section.